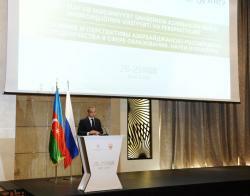 The issues of the cooperation in education and science were key topics of the conference entitled “State and prospects of cooperation between Russia and Azerbaijan in education, science and cultural fields” opened in Baku on November 28. 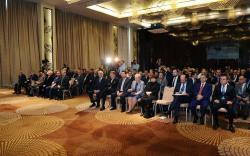 The conference was timed to the visit of Russia’s Minister of Education Olga Vasilyeva to Azerbaijan. The event brought together state and government officials, representatives of the Azerbaijani National Academy of Sciences (ANAS) and rectors of higher schools. Azerbaijan's Education Minister Mikayil Jabbarov, addressing the event, spoke of cooperation in the field of education, emphasizing the importance of further expansion of bilateral ties between the two countries. 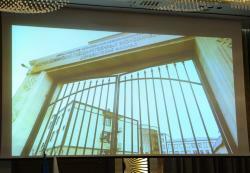 “Azerbaijan at the state level pays great attention to the study of Russian language and literature. A total of 90,000 students receive education in Russian language in secondary schools of the country,” Jabbarov said. 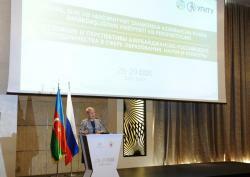 He noted that branches of two prestigious Russian universities – Lomonosov Moscow State University and Sechenov State Medical University –were established in Baku with the support of the government. The minister particularly noted the role of Russian-Azerbaijani Association for education, which is a good platform for interactions between universities of the two countries, as well as for the successful implementation of joint projects in the field of education. “Our countries are pursuing diversification of the economy, so, training of specialists in this sphere is of special importance,” Jabbarov added. Russia’s Minister of Education, in turn, said her country is interested in development of cooperation in education with Azerbaijan, as well as in exchange of experience in training. The Russian minister appreciated the interest in the study and preservation of the Russian language in Azerbaijan. “Increase by five percent in the number of wishing to study Russian language in Azerbaijan in 2016 is a positive factor,” she noted. Vasilyeva mentioned that about 14,000 Azerbaijanis receive education in Russian universities, 970 of which study under the quota provided by Russia. “A total of 351 people will be adopted by quota in this academic year. The numbers are impressive, but we will continue developing and coordinating our efforts in this sphere with the Azerbaijani Ministry of Education,” said Vasilyeva. Vasilyeva further spoke about the opening of the Derbent branch of Azerbaijan State Economic University, naming it a significant event. Vasilyeva also informed about the plan to establish a joint Russian-Azerbaijani University of Agricultural Sciences. “The second proposal of the Russian side is about the opening in Azerbaijan a branch of university for people with physical disabilities,” the minister added. The sides also plan to create joint manuals, as well as to open under the branch of Moscow State University in Baku an additional group or a small department on learning Russian language as a foreign language, said the Russian minister. Azerbaijan and Russia are tied by firmly based relations, which were officially established in 1992. The cultural relations between the two countries are highly evaluated. A Year of Azerbaijan was declared in 2005 in Russia, and 2006 was the Year of Russia in Azerbaijan. During these two years, the two countries held 110 special cultural events. Although Azerbaijan gained independence from USSR in 1990’s, learning and speaking Russian language remain welcome in the Azerbaijani society.